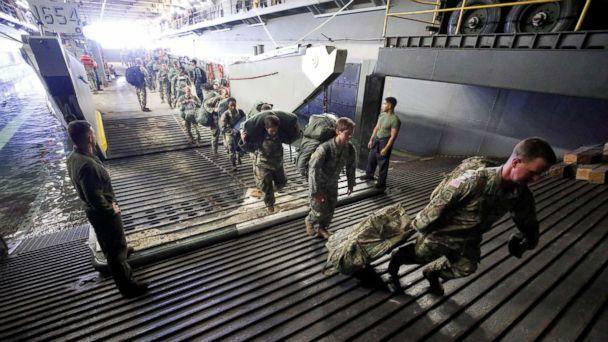 Hurricane Maria made landfall Monday night on the Caribbean island of Dominica as a Category 5 storm, the National Hurricane Center said, as other islands in the region, including Puerto Rico, brace for the impact. Maria made landfall on Dominica around 9:15 p.m. local time with estimated winds of 160 mph, radar data from Martinique and Air Force Reserve Hurricane Hunter aircraft indicated, according to the National Hurricane Center. Dominica was "shut down" as the storm approached, said Anil Etienne, a spokesperson for Dominica’s Office of Disaster Management. Etienne told ABC News officials are worried about flooding in low-lying areas and have opened about 146 shelters. Maria is anticipated to approach the Virgin Islands and Puerto Rico on Wednesday. The storm might make landfall on the eastern side of Puerto Rico and could bring major damage to the U.S. territory late Wednesday morning and into the afternoon -- two weeks to the day since Hurricane Irma tore through Puerto Rico, killing at least three. Evacuation orders have been issued for parts of Puerto Rico. Puerto Rico Gov. Ricardo Rossello said starting midday Tuesday, conditions will begin to deteriorate and the island could get between 12 and 18 inches of rain. Rossello encouraged residents to execute emergency plans immediately. “Now is the moment to save lives,” he said. Officials said 450 shelters will be opened starting this afternoon and warned of possible catastrophic damage and a possible collapse of the “vulnerable” electrical system. “Flood-prone areas must be abandoned," said Public Security Secretary Héctor Pesquera. "If not, you will die." The governor said a federal emergency declaration was requested. 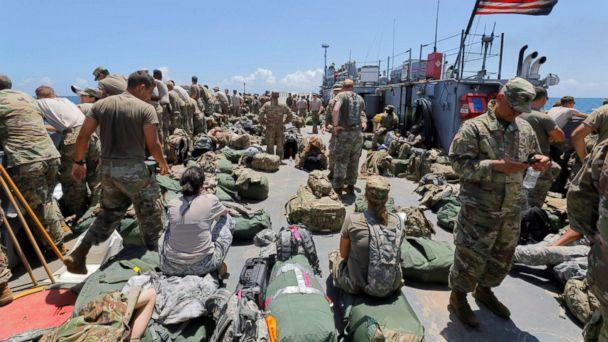 On Monday, President Trump ordered federal assistance to supplement the response efforts in the U.S. Virgin Islands. 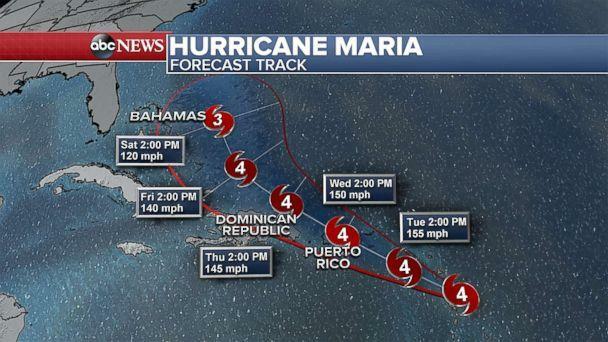 Most models are forecasting Maria will stay away from Florida and the United States mainland. As Maria is set to travel across the Caribbean, it is likely to affect areas including the British and U.S. Virgin Islands on its way toward Puerto Rico. It was just weeks ago when Irma devastated several Caribbean islands, killing at least 39 people. Guadeloupe, in addition to Dominica, is likely to see a direct hit from the powerful hurricane. As Maria approaches Antigua and Barbuda, the islands' officials are warning residents not to be complacent after Irma, which devastated Barbuda. Philmore Mullin, the head of the National Office of Disaster Services for Antigua and Barbuda, spoke to Antigua and Barbuda's national broadcaster ABS today, urging those in low-lying areas to evacuate and not to wait until the last minute since water can sometimes rise very quickly. Mullin added that they are prepared and over 40 shelters will be opened for Maria. "We cannot afford to be complacent -- it is a hurricane," Mullin said. "We need to pull out all the stops and prepare for an impact just in case." After passing Puerto Rico this week, Maria is expected to graze the Dominican Republic before it moves north toward Turks and Caicos and eventually into the Atlantic Ocean. ABC News’ Ben Gittleson contributed to this report.